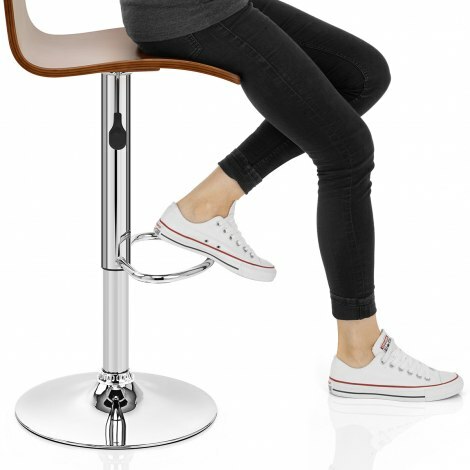 The Alpino Bar Stool is a stylish classic bar stool, showcasing a sleek design from start to finish. Elegant bentwood merges with a shining chrome frame to create a really versatile piece that can bring modern refinement to a multitude of interior settings. The Alpino seat is made from polished wood with a beautiful smooth walnut finish, which accents the natural wood grain. It also curves to suit the shape of the body and forms a chic flowing design. 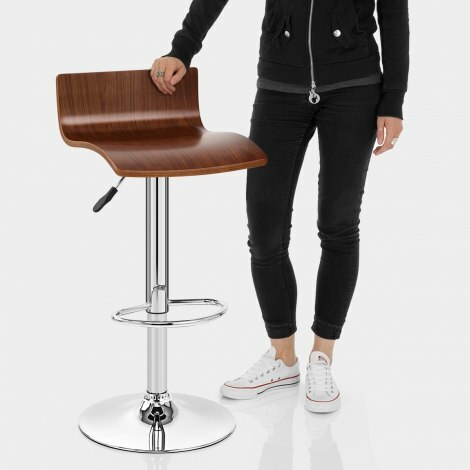 The stem and base of the stool is finished in chrome plated steel and features a gas lift variable height mechanism which rotates 360 degrees. This stool has also got a floor guard to protect your floor. "Good price with really good quality"
I’m very happy with the stools. They arrived quickly and were easy to assemble in minutes with all the parts that were needed in the box. Very sturdy and exactly what I was looking for. It is very easy to built and it is super comfortable than I expected. Really good price for very good quality. Ordered 2 stools Sunday evening, Atlantic called me Monday asking if order was correct as I had a different delivery address, I thought this was good that they checked the delivery address. Stools arrived Wednesday morning. Good service all round ! I would definitely recommend Atlantic and use them again. Very simple to put together - within 5 minutes each chair was constructed. Also great delivery arrangements although courier went to wrong house I was able to contact Atlantic Shopping direct and they immediately turned back the courier and chairs were delivered.